Super Savings! 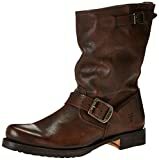 Up to 40% off on Shoes at Femi Store. Top brands include Vince, Ted Baker, Donald J Pliner, Kate Spade New York, Paul Green, FRYE, Dolce Vita, & Taryn Rose. Hurry! Limited time offers. Offers valid only while supplies last.